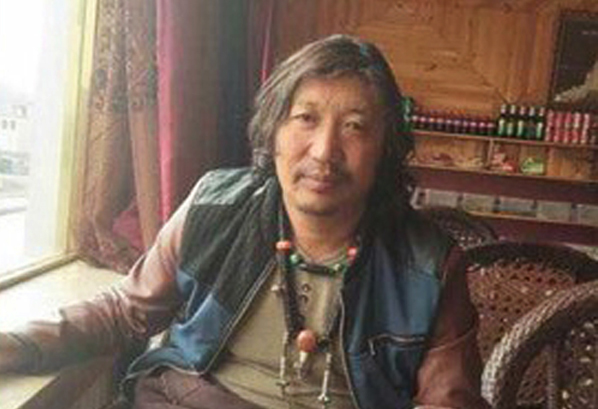 (TibetanReview.net, Jan27’19) – Residents of three townships in Gade (Chinese: Gande) County of Golog (Guoluo) Prefecture, Qinghai Province, have submitted separate petitions in Oct and Nov 2018, calling for the release of a Tibetan man who had campaigned for their subsistence right and had been detained for it since Sep 2018, said Dharamsala-based Tibetan Centre for Human Rights and Democracy Jan 23. The centre said Mr A-nya Sengda, 47, was beaten and taken away by the county police on Sep 4. He was accused of “picking quarrels or provoking troubles”. Meanwhile, many of the corruption issues raised by him have been resolved, although no official was punished and he continued to remain in detention, the centre said. China does not tolerate grassroots campaigns that do not involve the communist party or government in a leading role as it does not want to see the civil society activists stealing the limelight from them. The petitions have been submitted by the people of his hometown of Kyangche (Jiangqian), as well as residents of neighbouring Gongmey (Xiazangke) and Ganglung (Ganglong) townships. The petitioners, numbering in hundreds, were stated to have questioned the legality of Mr Sengda’s arrest and continued detention, all the more because many of the issues he had raised during his numerous appeals to higher authorities had since been resolved. These were reported to include the paying of housing subsidies and minimum livelihood allowances to the local people as well as compensation for appropriated grassland and forestland following Mr Sengda’s campaign. Mr Sengda’s had also raised his voice against the local government’s relocation of Tibetans from their ancestral land without proper authorization, the failure to pay the resettled nomads the compensation they were promised, and the exacting of illegal taxes from the impoverished Tibetan nomads. The petitions were also stated to have called on the authorities not to subject Mr Senga to torture and other forms of ill-treatment and expressed serious concern on his health and overall wellbeing.